Like many people, you’ve likely woken up freezing or covered in sweat a few nights. Some research claims that 68 degrees is the perfect room temperature for sleep, but is it really the temperature everyone sleeps best at? Similar to other aspects regarding sleep, the answer is different from person to person. 68 degrees may be ideal for some people, but figuring out your perfect sleep temperature isn’t always so simple. What's more, your ideal sleep temperature isn’t consistent since it varies with age. As our bodies change, so should our sleep temperature. Adults should sleep anywhere from 60-68 degrees while babies and young children should sleep in a bit warmer environment, around 65-70 degrees. Sleep quality decreases when temperatures radically drop or increase in the bedroom. Check to make sure your bedroom temperature is never below 54 degrees or above 75 degrees since this greatly disrupts sleep. The ideal sleep temperature varies between genders as well. Generally, women prefer to sleep in slightly warmer environments than men because of differences in metabolism. Additionally, if you have insomnia, sleeping below 68 degrees may help to improve sleep. Many studies have shown that sleeping in cooler rooms increases sleep quantity and quality. Your bed temperature also affects what temperature your room should be at night. If you sleep hot, it may be because your mattress traps heat and doesn’t provide proper airflow. Before you touch the thermostat, consider the fact that your bed may be the main reason you sleep cool or too hot. 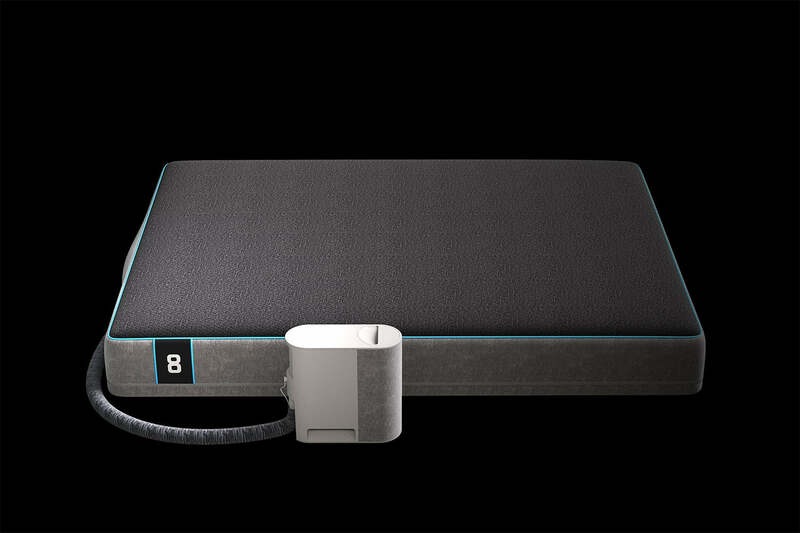 There are smart beds like the Eight Sleep Pod, which allow for dynamic temperature regulation. The Pod can cool all the way down to 55 degrees Fahrenheit on each individual bed side keeping you comfortable all night long. Ultimately, 68 degrees is a great temperature to start out with. However, if you find yourself still freezing under layers of blankets, then bundle up. If you wake up sweating or shivering, increase or decrease the temperature accordingly to get the best sleep possible.